Priyanka Chopra has been winning hearts with her commendable work the world over. The Bollywood actress is now an international sensation after gaining popularity for her hit US television series 'Quantico'. The beauty turned cover girl for the latest edition of Hello! magazine and dazzled in a sequin embellished ensemble. PeeCee looks breathtakingly beautiful in the chic number that is accessorised with earrings, bracelets and a statement ring. 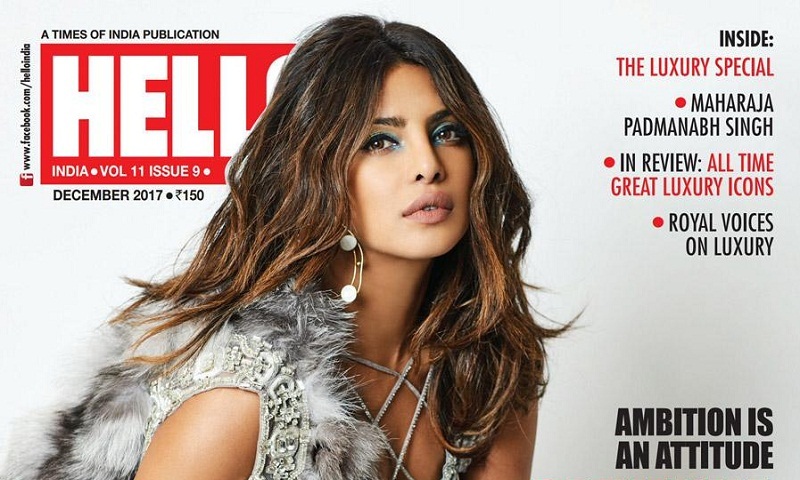 Well, Priyanka never fails to make her fans go gaga every time she graces a magazine cover. On the work front, Priyanka Chopra is shooting for the next season of 'Quantico' and her Hollywood flick 'A kid like Jake' is on its way the Sundance Film Festival. She will also be seen starring in the flick 'Isn't It Romantic'.